I’m gonna level with you, readers…I love feta cheese. You can put that white gold on pretty much anything and I would enjoy it. So naturally, Greek foods and I usually get along well primarily because of that delicious crumbled cheese. 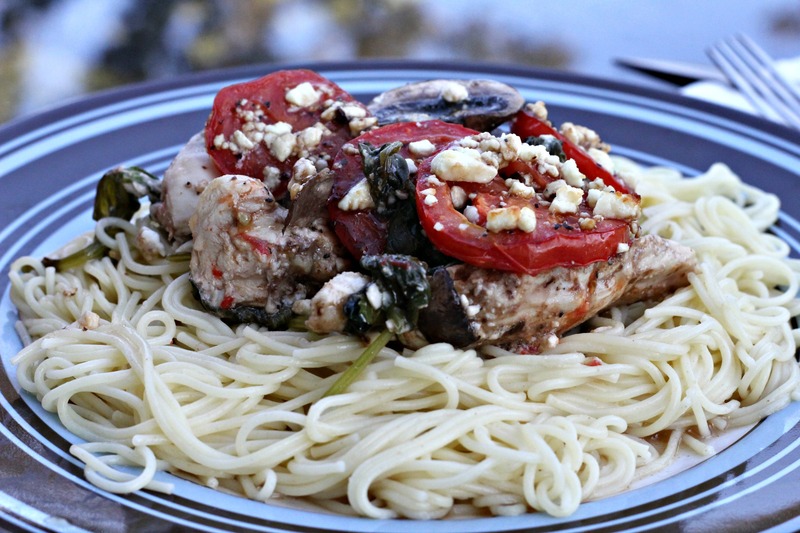 This Greek Chicken is no different. It’s a great recipe and all, but man, that feta just makes it. Know what I mean? I served mine with pasta, but you certainly don’t have to. I did like how the pasta absorbed some of the balsamic dressing from the chicken and make it have a good flavor (and not just taste like plain pasta). In fact that dressed really seeps into all the ingredients to give it that Mediterranean flair. We really liked this dish. It’s nothing completely overwhelming or anything, but it’s a really tasty way to prepare chicken, and it’s great for a healthy, weeknight meal. Cut chicken breasts into tenders. 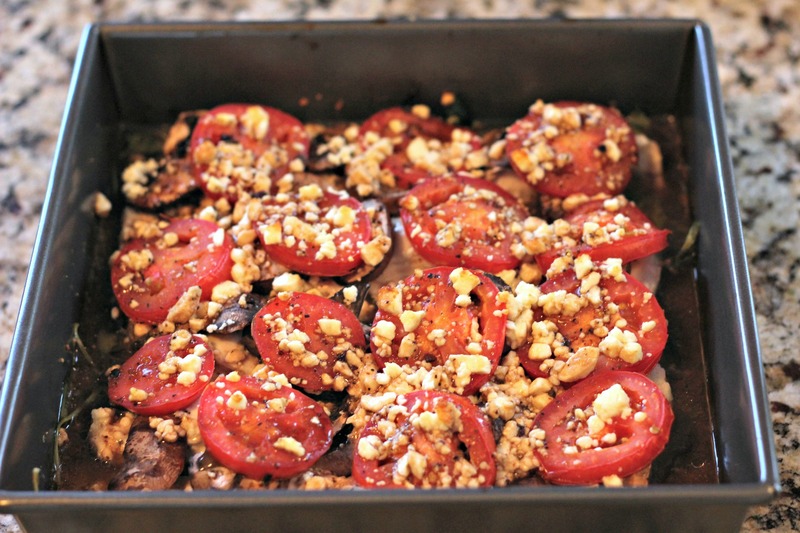 Layer spinach, chicken, mushrooms, tomatoes, feta in a sprayed 8x8 baking dish. Pour vinaigrette over ingredients; bake 30 min @ 350 uncovered. Serve each portion with ½ c pasta. Wow, this looks so good! You are the top chef for chicken recipes! Love them all.